Yippee! It's Throwback Thursday (TBTWriter)! 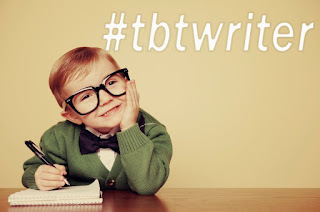 Time to share something I wrote back in the day, accompanied by some fun pics. All of my posts so far have centered around something I wrote in elementary school, so I thought I'd change it up a bit by posting something I wrote a little more recently...like 10 years ago. Something from my "story graveyard." What's a story graveyard you ask? It starts with a story I began to write and then for some strange reason I abandon it, then completely forget about it. 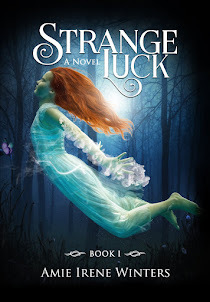 Months or years later, I'll rediscover the abandoned story and curse myself for casting it aside (this is actually how Strange Luck came to be written by the way). The stories that don't get an ending are banished to my story graveyard (*sniff), aka a big folder on my computer. The events of this particular graveyard story are actually all true. I really did get made fun of for being too pale by a bunch of old toothless French women. I really did visit this little quirky little town in France. And, I really did see a woman who looked just like my grandma who had died several years earlier. Her appearance and mannerisms were identical to my grandma's and I kept staring at her, thinking at some point that she would turn towards me and say, "Hello, Amie. Where have you been?" It looked as though I had bathed in silver glitter, but my skin sparkled for another reason. The salt from swimming in the French Rivera was clinging to me, only flaking off when I scratched it. Steam rose off the tiny streets in the hot sun as cars zoomed along the windy turn. From where I sat, I could see the aquamarine ocean peppered with swimmers, rafts, and tiny boats trolling through the calm waters. I had taken two crowded metros and a bus to the top of the hill, but I still had a long way to go. I sat alone on the park bench waiting for the next bus to arrive in twenty minutes. There wasn’t a tree, scrap of shade, or gust of wind, and I felt my shoulders roasting like pink game hens under the sun. It was the first time I had sat all day and my tired feet ached. I had never been to Cimiez before. Many people had told me what a charming city is was and that I would meet the man of my dreams there. My friend Julie accompanied me, but, the sun had zapped her strength too, so she decided to nap at the hotel for the afternoon. The only thing I had wanted to see in this town was Henri Matisse’s grave. I had already been to Emile Durkheim’s, Simone de Beauvoir's, Jean-Paul Sartre’s, and Oscar Wilde’s tombs. I looked at my wrist watch. Thirteen more minutes left sitting in the inferno for the bus to arrive. Tempted to just give up and go back to the hotel, I stood up to look down the skinny road, hoping to see the bus. Just as I did so, two old women wearing matching white dresses made their way down the road. I grew nervous. I barely spoke any French, and I was in a place where only the locals lived. I politely smiled and lowered my head, hoping they wouldn’t say anything to me. I listened to them speaking to each other in French, clucking like hens. They were both at my side now, grinning with toothless smiles. One of the women suddenly grabbed hold of my arm, which startled me, and she began hysterically laughing. She said something rapidly and pointed to me. She continued smiling and laughing, her belly rolls jiggling like a jello mold. My smiled widened. What was this old loon doing? Of course I had no idea what she said to me, but I assumed she was complimenting me on my dress. I looked at them and started to chuckle, realizing at once how awkward the situation was. The old woman was laughing so hard she released my arm and was bending over now. Her friend joined her in laughing. I shook my head. Two old French women were making fun of me and there wasn’t anything I could do about it. There weren’t any other people around for miles and I was stuck waiting for the bus with them. They continued laughing, and I took a few steps away from the bench and peered down the road again, cursing under my breath. I crossed my arms, and examined my skin secretly from behind my sunglasses. Sure, I was pale, but not that pale. What do you expect when you’re from Washington? Finally, their obnoxious laughing subsided and the bus arrived. I sat near the front, and away from them. It took several minutes to get to the top, passing a cathedral, ruins, and busy villagers. I arrived in front of the Matisse museum and immediately sought refuge under a knotty tree while I got my bearings. An old sock rested at the trunk. I could see how the town of Cimiez was beautiful in its own way, but with all of the heat and frustration, I vowed I would never return. My map was ripped in the middle, covered in coffee, and had been folded and unfolded so many times that it barely held together as I examined it. I needed to get to the Musee Franciscain-Eglise et Monastere de Cimiez, which was a short walk down the road. I checked my bag for water, and quickly noticed that I barely had any left. I decided not to drink it quite yet, for I still had a long commute back to the hotel in Nice. I walked down the sweltering path, careful to walk on any scrap of shade possible and found myself in a park, where I collapsed on a bench. I needed to regain my energy if I was to make it the rest of the way. Children on skateboards glided past me with curious smiles, whispering to each other in French. I had a perfect view of some archaeological ruins in front of me. I peered through the iron-gate, imagining the culture that had once flourished there. Some type of insect loudly buzzed above me. I went to look for it, but only found yellowing leaves. The sound made me want to go insane—sharp, loud, quick, and furious. No one else seemed bothered by the noise, and for a moment I wondered if it was a sprinkler nearby that was making the noise and not an insect. Several people came and went from the park bench a few feet away from mine—a couple, a young thin woman, a few children, another couple. My attention turned to the children skateboarding in front of me, staring at me as if they knew I was not French. Then, I saw her out of the corner of my eye—a woman with short black curly hair and glasses. She was reading something, mimicking the words with her mouth. Her jaw was slightly droopy, and her eyes were bright and full of life. She reminded me of my grandmother who had passed away two years ago. I smiled thinking about her and how funny it was that this woman sitting next to me exhibited nearly the exact same characteristics my grandmother once did. The buzzing lowered a notch. I stretched my feet, preparing them for the walk ahead of me. I turned again to look at the woman, and she turned to look at me and smiled. Full, slightly yellow teeth, and kind. I would have recognized her smile anywhere. 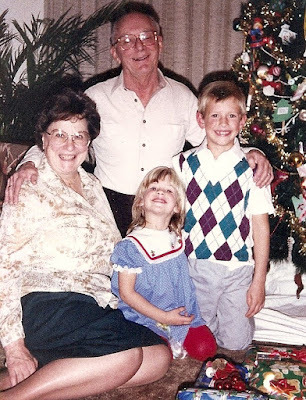 There was no doubt in my mind that the strange woman in front of me was my grandmother. Re-reading this story again made it very clear to me that I was still trying to find my voice, and genre, which is why I think I ultimately abandoned it. Nevertheless, it was a neat experience visiting Cimiez and seeing my grandma again in some weird twist of fate. 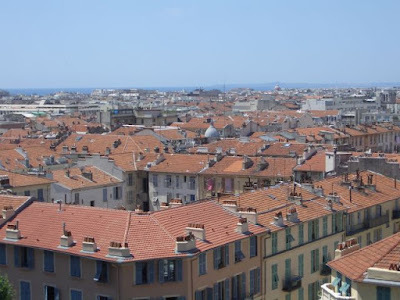 Here's me overlooking the French Rivera on my way to Cimiez. 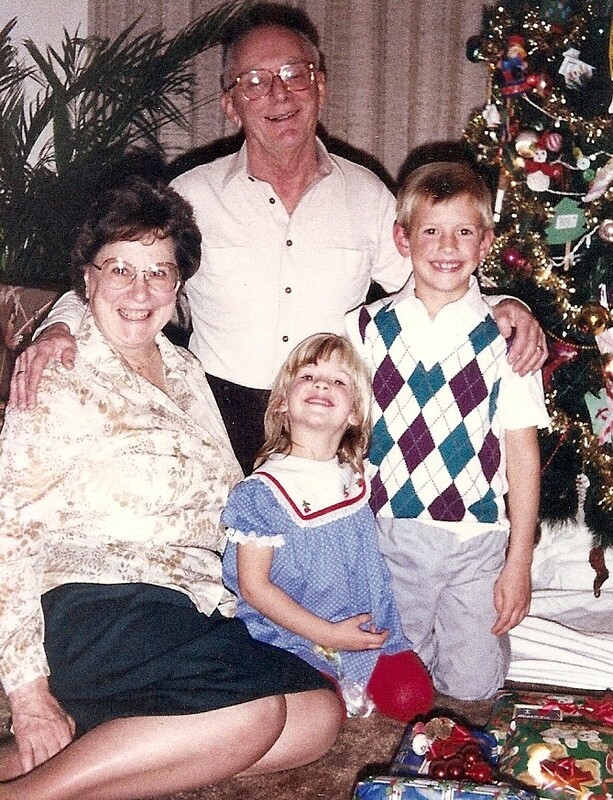 Here's me with my grandma, grandpa, and brother. 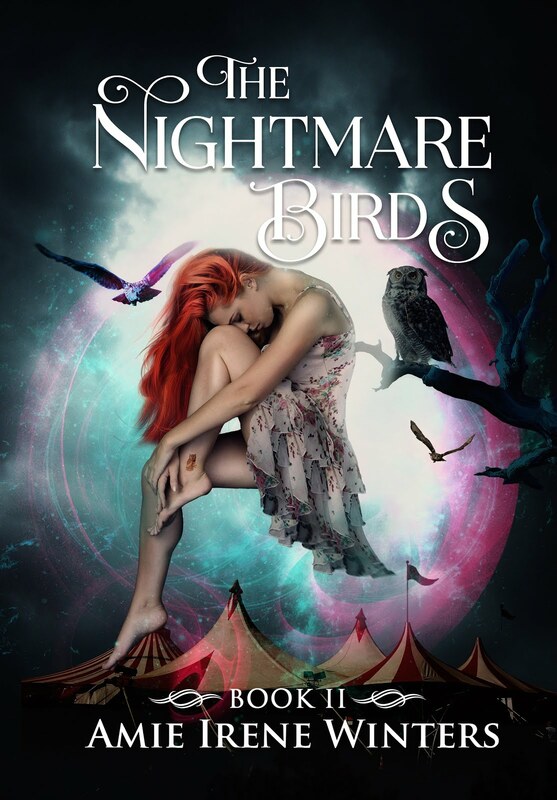 COVER REVEAL of The Nightmare Birds! 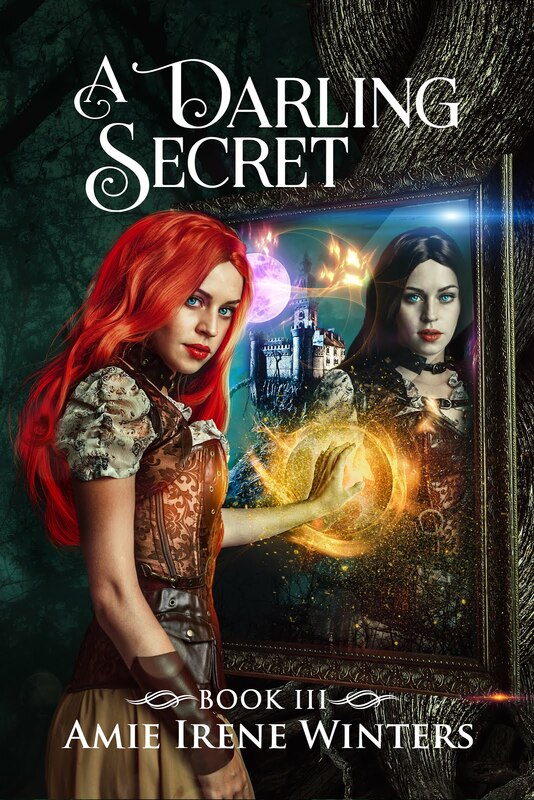 Help Choose My New Book Cover!